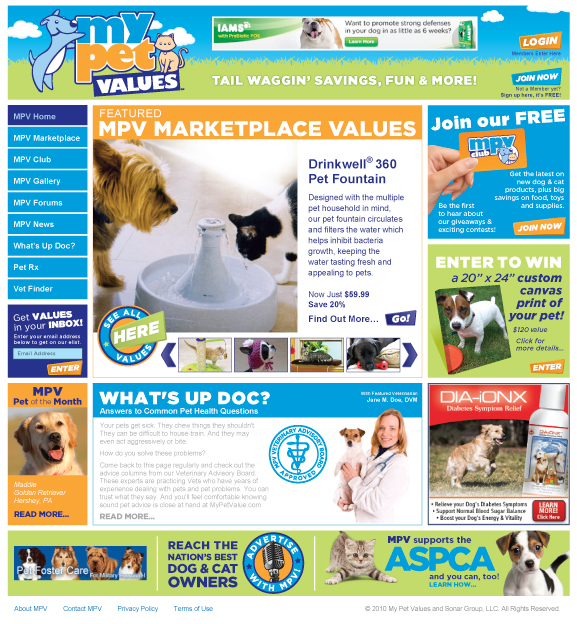 Plus, dog & cat owners can sign up for our free MPV Club and get updates on new products, MPV news, pet health tips and MPV contests & giveaways. Advertisers will also have the opportunity to reach visitors and club members opting into our MPV email communications. Additionally, banner advertising is available on the content areas of the site to get your message out there. Ask us about special package rates. 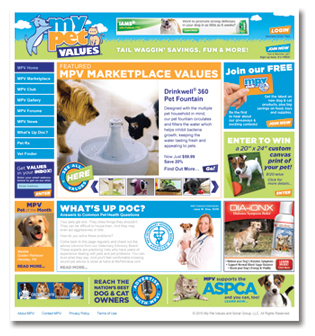 © 2010 MyPet Values and Sonar Group, LLC. All rights reserved.